The microscopes will visualize individual neurons expressing calcium-triggered fluorophores, which light up when specific wavelengths of light are shined on them. Five UCLA scientists have received a grant from the National Institutes of Health for a study that could provide a better understanding of how neural circuits in the brain process, encode, store and retrieve information. The three-year, $2.3 million grant will support the team’s work to develop methods for recording the activity of intact neural networks in living animals. The funding is through the NIH’s BRAIN Initiative, which was first announced by President Barack Obama in 2013. With more than 500 neuroscientists throughout campus, UCLA is well positioned to play a significant role in the effort. 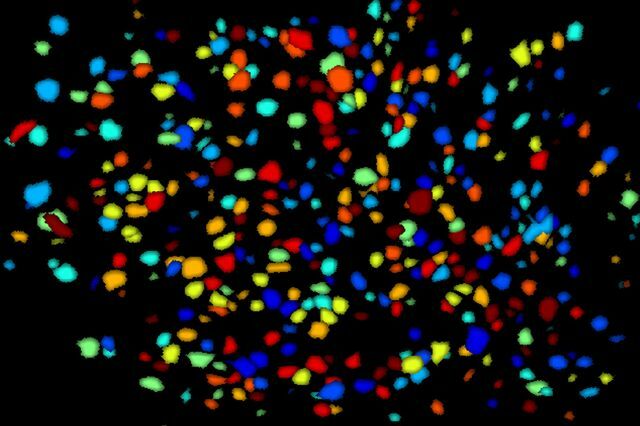 The investigators, led by Dr. Peyman Golshani, a UCLA associate professor of neurology and psychiatry, aim to build a new generation of miniature fluorescent microscopes to image and manipulate the activity of large numbers of brain cells in mice. The mice will be studied while moving freely in their natural environments. The tiny head-mounted microscopes, which are expected to weigh less than three grams, will monitor brain cell activity in real time, in ways that were not possible before. The microscopes will visualize individual neurons expressing calcium triggered fluorophores, which light up when specific wavelengths of light from the microscope are shined on them. 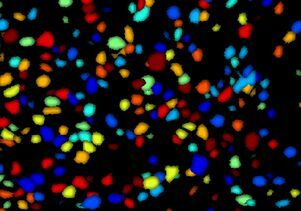 The method will illuminate cells that are flooded with calcium, which happens when neurons fire. Eventually, the researchers hope to adapt the mini-microscopes to allow scientists to control the activity of neurons remotely, and allow both monitoring and control with wireless technology. The microscopes are being built from relatively inexpensive, off-the-shelf parts. Existing microscope systems can cost more than $150,000, but the researchers’ goal is to build the new microscopes for a few thousand dollars each. The researchers also plan to make their design and plans available to other investigators at a wiki page, miniscope.org. The project’s other investigators are Alcino Silva, a UCLA professor of neurobiology, psychiatry and psychology; Dejan Markovic, a UCLA professor of electrical engineering; and Daniel Aharoni, a postdoctoral fellow.